In coming day people are going to be inhabited for email. As like Mobile phone text message people get notified for important alert, promotional offer and person text. So this all are up to lot of email, and that’s means email process. So starting an email processing jobs is not bad idea to earn some extra cash. If you are new to our blog you can read how to help people to get started genuine email sending jobs without investment with amazon affiliate marketing , this type of affiliate marketing earn good cash when you are pro internet marketer , but what about those who does not know anything about email marketing? Mane of our blog reader request us to share some of the websites name are marked as reliable to get started scam free email processing jobs! But there is no such website to work. So first check out the scammer website name. 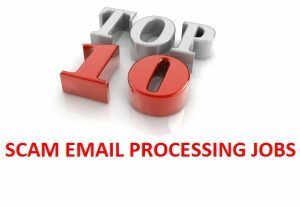 If you want to know who is the scammer and which website should better to avoid first have a look the top 10 scam email processing jobs website name! This time we have empty bucket! After search with my maximum effort and experience we are sad to say there is no way to do this dream email sending jobs- But don’t fill sad here I have few blog post you might be like to read about email processing jobs. This are the blog will not provide genuine email processing jobs but help you by showing you a way and hope to getting start this. So, Why All Email Processing jobs are scam? Let understand this jobs in a different angel. Think you have some type of email to process or bulk email you need to send. All right now if you still remember that on average an email sending Jobs Company will going to paid their members up to $1 (Rs. 65) on per email after send. Now my question is will you going to waste your money on such scam email sending jobs website by let then send your business email at the rates of more than $1 (Rs. 65) or hire some to send your email one by one? Recommended Read: HTML tagging jobs – Is It a Scam or Legitimate System? So the concept is scam and there is no reality behind this email processing email sending jobs. Note: Scammer put different name of such jobs like email sending jobs, email receiving jobs, email reading jobs and email forwarding jobs. But the ultimate true is any emails jobs are assure you to make money quickly are scam. Enjoy reading this scam review? You may be hero by sharing this article on Facebook and twitter.